The Zimbra Collaboration Server is a mail server, collaborative web application and a web based mail server admin console in a single application. It provides LDAP, antivirus, antispam, collaboration features and a ajax webmail client. Zimbra is easy to use for administrators as well as end users due to its fast Ajax based web interface. Step 1 - connect to your server, get root privileges and install this package. change your hostname with this 'mail.sendaljepit.local'. 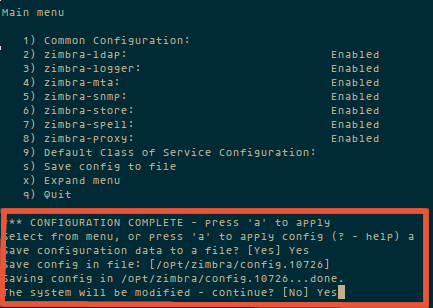 At this step, zimbra will check the required packages and will ask you to agree to their installation. here doesn`t need zimbra-dnscache, because in this tutorial use dnsmasq. You need to wait, because this installation takes some time. 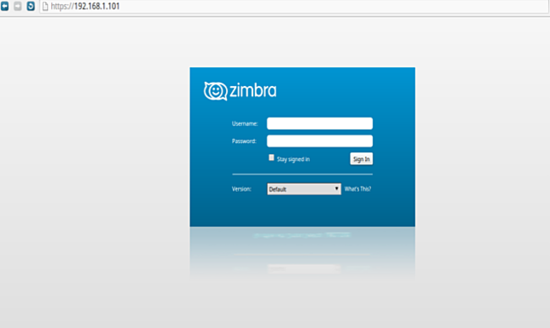 and wait for Zimbra configuration finished. or try admin page " https://192.168.1.101:7071/ ". Zimbra is an Open Source mail server application which provides many features and is easy to use for admin and client. 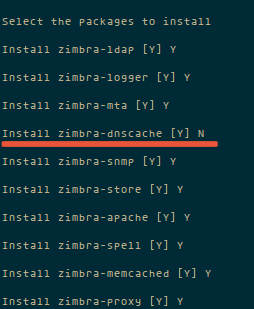 Zimbra requires a lot of server ressources, so dont use it on servers that do not match the base requirements outlines in the first chapter. 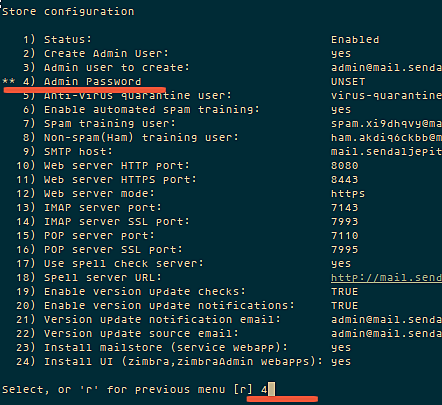 I'm really happy to see a tutorial about how to install Zimbra Collaboration 8.6 in Ubuntu Server 14.04. To add to this amazing tutorial: Don't use ever, for a real production environment, a domaint that is not a valid TLD, as when need to install a SSL Certificate you will obtain an error, because any SSL vendor offer anymore the option to add .local, .lab, etc. So I've been running Zimbra for the last 8 yrs. A few key things to making this work. * Any /etc/hosts file with more than 2 lines will fail. 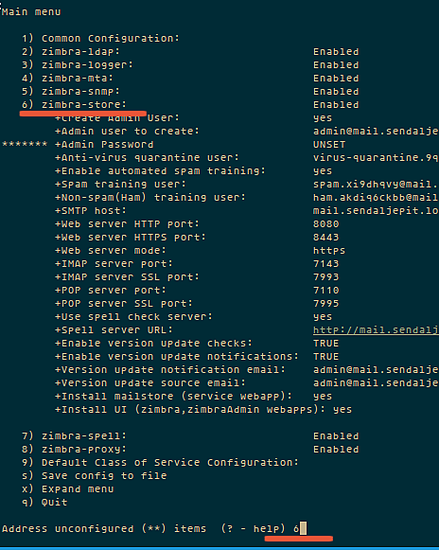 Zimbra installer will freak out. Don't know why, just that a non-trivial file won't work. * A DNS MX record is mandatory. If you don't have DNS setup where Zimbra can see the MX record - don't bother starting. * If running multiple email domains, ensure the hostname maps to the primary domain. My hosts file had mroe than two lines and it was fine, but it did have v4 and v6, so maybe I only had two lines per protocol.The MX record doesn't have to point to your cluster for the installer to proceed, it just needs to have one. Hello, This is awesome article and it works very nice for me, I'm really happy first time, when i'm creating Zimbra Server. Thank you so much and long live. je viens de suivre votre tutorial pour installer mon serveur zimbra. L'installation est bonne. Cependant, je peux envoyer des mails depuis zimbra vers l'extérieur (vers mon gmail par exemple et ça part en spam), mais je ne peux pas recevoir de mail.je sais que ça a rapport avec le dns mais je ne sais pas exactement quoi faire. j'ai mon nom de domaine chez ovh, j'ai crée un MX record depuis mondomain.fr vers mail, et j'ai redirigé mail.mondomaine.fr vers l'adresse IP de mon serveur zimbra.qu'est ce qui ne va pas ... Un peu d'aide svp ? I'm sorry, I didn't know I was writing in french.What I said is that I've installed my zimbra server with this tutorial, and everything seems to work just fine.But problem is that I can send email from zimbra ( that goes to spam) but I cannot receive emails. I know that it has something to do with DNS but I don't know what exactly.I have amy domain. And I added a MX record from mydomain.fr to mail . And I added a redirection from mail.mydomail.fr to IP adress of my zimbra server.Can someone help me, i don't know exactly what's wrong with the dns ( or something else I don't know).thank you !! What about checking your PTR records, DKIM records and SPF records. And check if they blacklisted your ip too. Thanks for your document. I am new for the zimbra. I used your steps to install the zimbra in ubuntu14.04 server. I can use the zimbra client. But I unable to send mail to other server. Ex: [email protected] to [email protected] I think I have missed somthing while configuring the hostname. Please help me solve this issues. Great Tutorial. But I need to make it [email protected] not [email protected] Can anyone help me? I'm tired of trying to avoid MX record issue in Amazon AWS and I tried :https://elijahpaul.co.uk/installing-zimbra-7-0-zcs-on-ubuntu-10-04-lts-using-amazon-aws/ with no success. Great How-to, I'm really happy to see a tutorial about how to install Zimbra Collaboration 8.6 in Ubuntu Server 14.04.
i have some problem, can anybody help me to fix it? [email protected]:~$ zmcontrol statusConnect: Unable to determine enabled services from ldap.Enabled services read from cache. Service list may be inaccurate.Host zimbra.fago.net.pl amavis Running antispam Running antivirus Stopped zmfreshclamctl is not running dnscache Stopped dnscache is not running. ldap Stopped mailbox Stopped mysql.server is not running. zmmailboxdctl is not running. memcached Stopped memcached is not running. mta Stopped zmsaslauthdctl is not running postfix is not running opendkim Stopped zmopendkimctl is not running. proxy Stopped zmnginxctl is not running service webapp Stopped mysql.server is not running. zmmailboxdctl is not running. snmp Stopped zmswatch is not running. spell Stopped zmapachectl is not running stats Stopped zimbra webapp Stopped mysql.server is not running. zmmailboxdctl is not running. zimbraAdmin webapp Stopped mysql.server is not running. zmmailboxdctl is not running. zimlet webapp Stopped mysql.server is not running. zmmailboxdctl is not running. zmconfigd Stopped zmconfigd is not running. Yes, you need that as well. Vous avez pu résoudre votre probleme, car j'ai le même probleme. si oui, merci de partager la solution. NO! Do not install dnsmasq. Someone please remove this from the tutorial. Thanks for sharing this greate tutorial. I've successfully install zimbra in my Ubuntu 14.04 (Vmware) server.